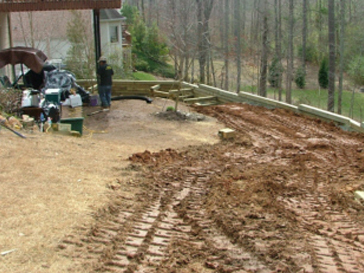 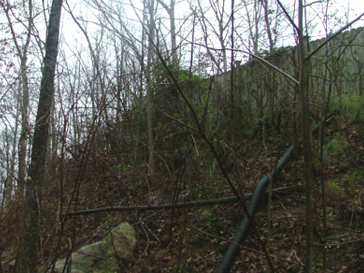 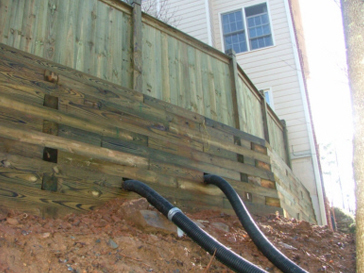 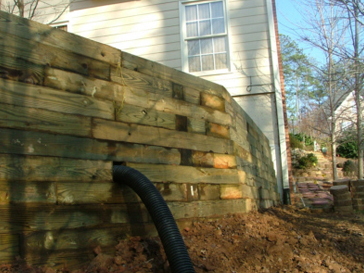 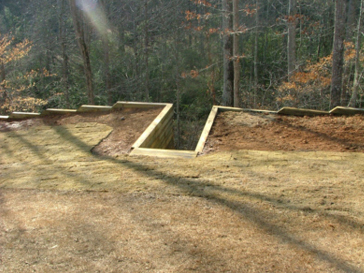 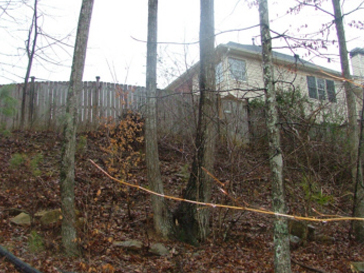 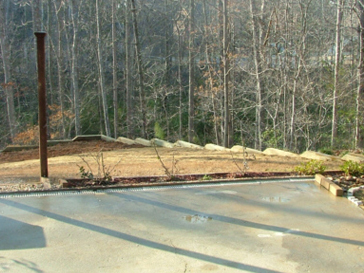 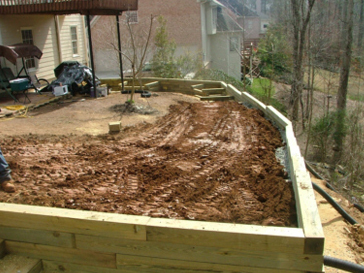 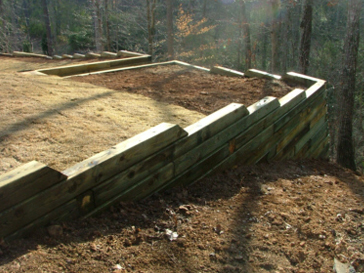 This project involves a backyard with erosion problems. 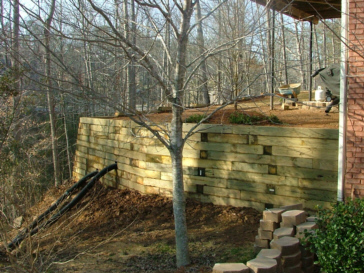 The customer had in mind installing two terrace treated timber retaining walls. 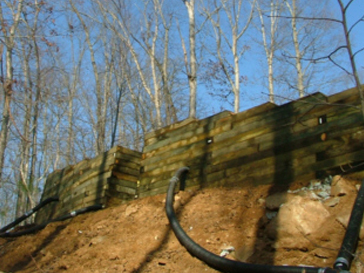 It was decided that only one strong retaining wall was needed of 180 feet long by 6 feet high installed with rebar, dead men, 57 stone gravel, perforated socked pipe, compacted dirt and added a catch basin for more drainage. 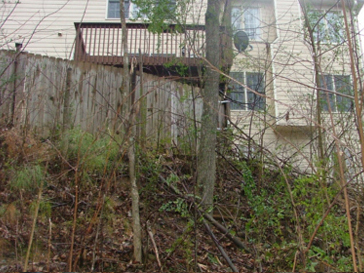 The backyard was cleaned up from under brush and small trees. 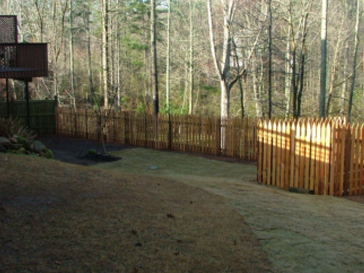 The fence was also removed. 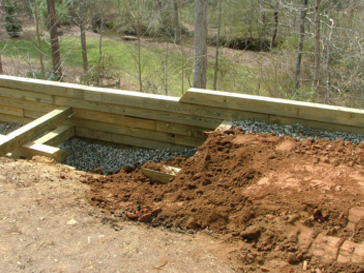 The new treated timber retaining was built very strong as you can see below, measures were taken to assure proper drainage and support. 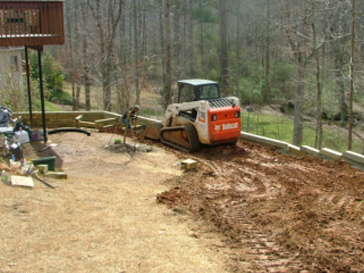 The retaining wall was back filled with field dirt and compacted with the bobcat. 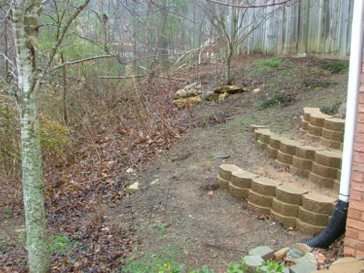 The before and after picture down below depicts the best way we can explain how the work was performed. 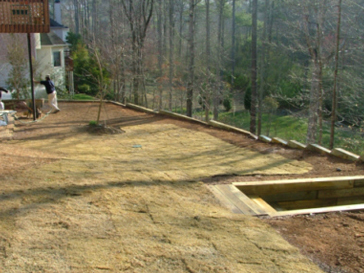 Bermuda sod was installed and areas were left opened on customer’s request for landscaping. 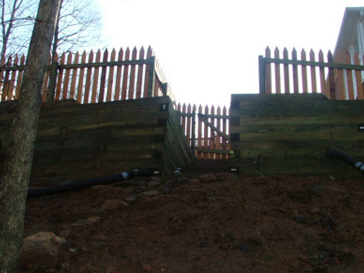 The back side of the retaining wall finished with the fence. 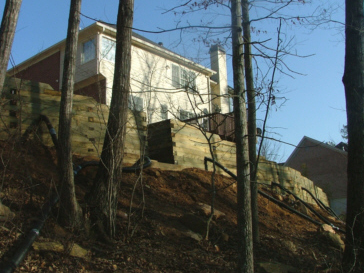 The wall design required us to step it down due to the steepness of the hill. 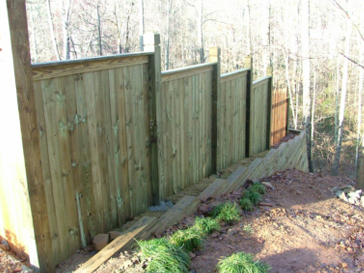 The wall was finished and the customer fully satisfied.